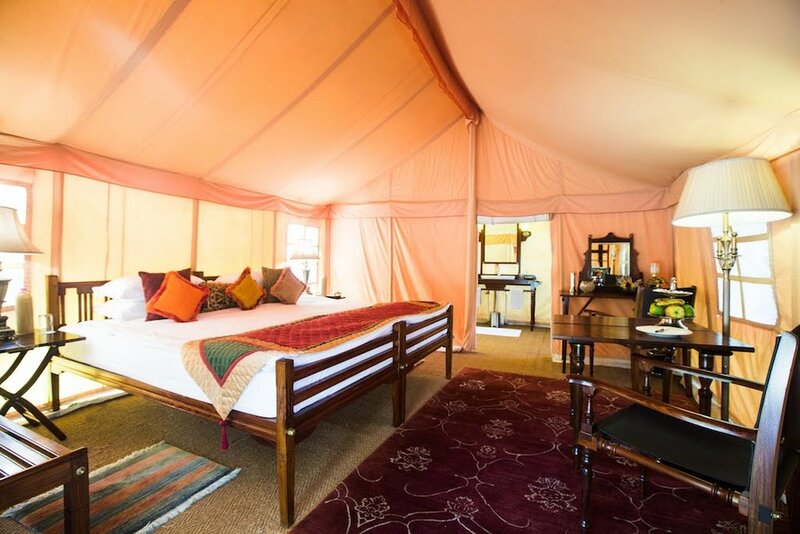 Four sumptuous safari style tents are dotted around acres of wild scrubland, providing our guests with all the creature comforts they desire and in the most peaceful setting: there’s no- one else around for miles. Bespoke furnishings, are taken from Raj era models: travellers would have been reclining on the same Cawnpor Cots and Planters chairs, centuries ago. 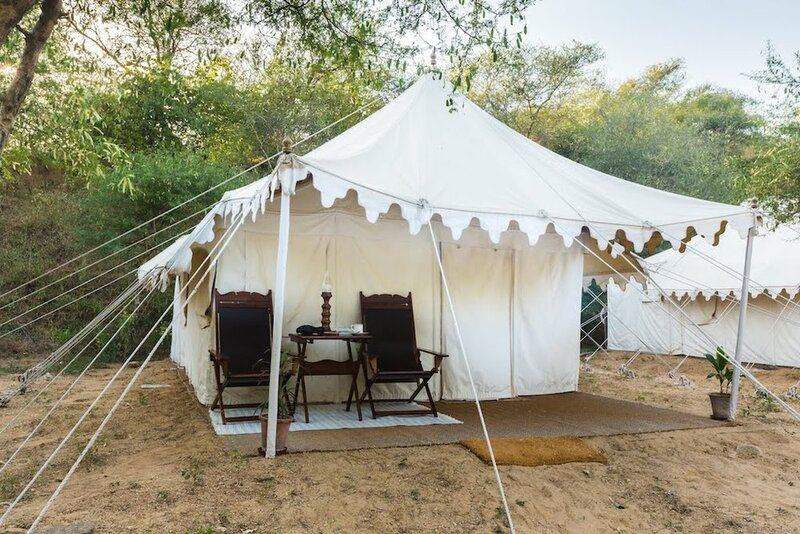 A perfect harmony of form and function, and created by local artisans, they are perfect for camping and add a classic touch to our Rajasthani tents. Complimentary Forest Essentials toiletries in your attached shower room are the height of indulgence. Recline in front of a roaring bonfire, with a drink in one hand, and the scent of a live barbeque in the air. Private musical and dance performances by local folk artists can be arranged: an exotic addition to serenade you into the evening. Whether a honeymooning couple, or a family with children, there is no experience that quite compares to your own secluded wilderness camp accompanied by Dera Amer’s friendly elephants. 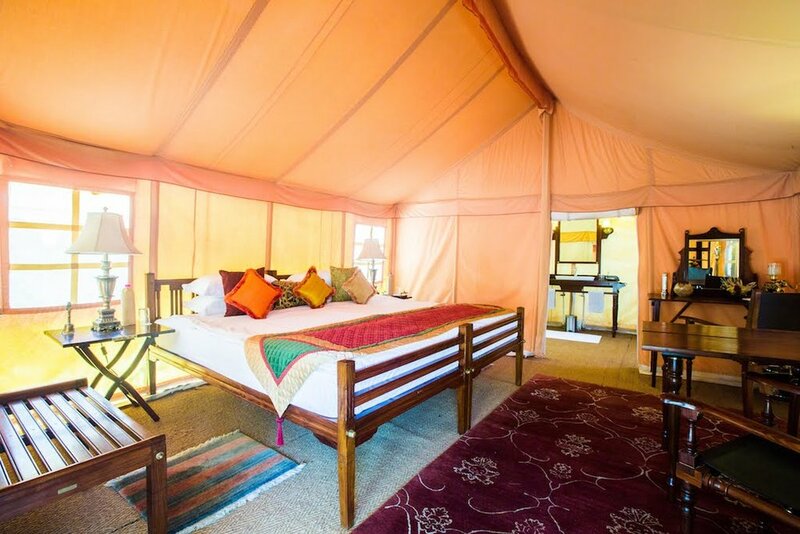 Our Luxury camp can accommodate groups of up to eight adults, but with no more than one family or two couples sharing the camp at one time.